Many will not be sorry to see the end of Windows 8, often a source of frustration due to its quirky, hybrid design. Microsoft announced on Monday that the successor to Windows 8, Windows 10, will be available next month. “On July 29, you can get Windows 10 for PCs and tablets by taking advantage of the free upgrade offer, or on a new Windows 10 PC from your favorite retailer,” Terry Myerson, executive vice president of Microsoft’s operating systems group wrote in a blog post Monday. 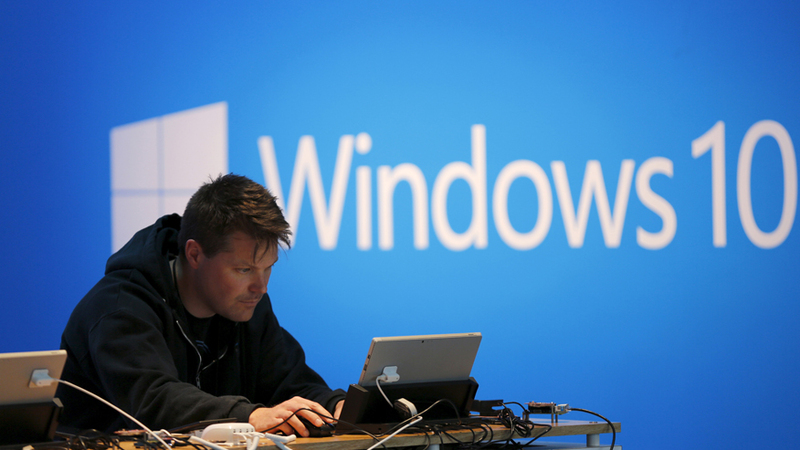 The initial Windows 10 release will be for PC and tablets. The often-vilified Windows 8 operating system tried to straddle the tablet and desktop worlds but failed for many — who stayed with Windows 7 and/or made constant appeals to Microsoft to change the software. Which Microsoft did with Windows 8.1. But that was too little too late for lots of loyal Windows users and corporations — many businesses stayed with Windows 7 rather than make the jarring transition to Windows 8/8.1. And users have been very vocal. Comments below articles about Windows 8 are often laced with expletives that represent a broad spectrum of user frustrations. PC companies have been more diplomatic but their own frustration isn’t hard to decipher when you read between the lines. Jeff Barney, GM and VP of Toshiba America’s PC business, cited the “difficulty” and “fear” of Windows 8 because of the “radical UI [user interface] change,” which made consumers less enthusiastic about buying laptops. Will Windows 10 rectify that? Only time will tell, but Microsoft is designing Windows 10 to be more palatable to users who want just a mouse-and-keyboard operating system. The touch-friendly tablet mode will still be there but less intrusive. “Believe or not the [new] Start menu is a big deal. I think there will be a lot of positive word of mouth around Windows 10. We believe people will go back into the market and upgrade their hardware,” said Toshiba’s Barney, who added that a lot of users are still using Windows 7 because they decided to skip Windows 8. Other marquee changes on the desktop include the new Edge browser and Windows Hello biometric authentication, which uses your face, iris, or fingerprint to unlock devices. Microsoft will also bring the Cortana virtual assistant, similar to Apple’s Siri, to the Edge browser and Windows desktop. Cortana is already available on Windows Phone. Touch-friendly Universal Office apps will be coming to Windows, too. Early this year, Microsoft announced the upcoming availability of Universal Office apps for Windows 10, including Word, Excel, PowerPoint, Outlook and OneNote that can be installed on PCs, tablets and phones.